Orkney distillery Highland Park is to release a ‘smokier, richer’ single malt in the form of Dragon Legend. 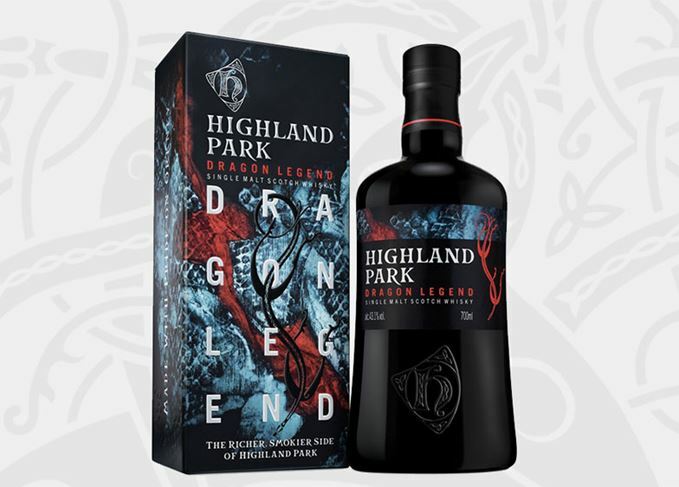 Highland Park Dragon Legend is a no-age-statement expression made using a higher percentage of peated malt than the brand’s core 12-year-old bottling. Its name is inspired by the tale of Viking warrior Sigurd, who, having slain the serpent dragon Fafnir, drank his foe’s blood and gained the powers of foresight and wisdom. Presented at 43.1% abv, the release will be a limited expression launching exclusively in UK supermarket Tesco from September 2017 for around £40 a bottle. However, it will be rolled out to additional European markets from 2018. The release of Highland Park Dragon Legend coincides with the rollout of Highland Park Magnus in the US, announced in April this year. Named after the distillery’s founder, Magnus Eunson, the release has a ‘sweeter and more profound vanilla flavour profile’ due to maturation in a high proportion of Sherry seasoned American oak casks. Bottled at 40% abv, the expression is now available at retailers and bars across North America for US$39.99. Both new expressions are presented in bottles in keeping with Highland Park’s new design, which accentuates its Viking heritage.